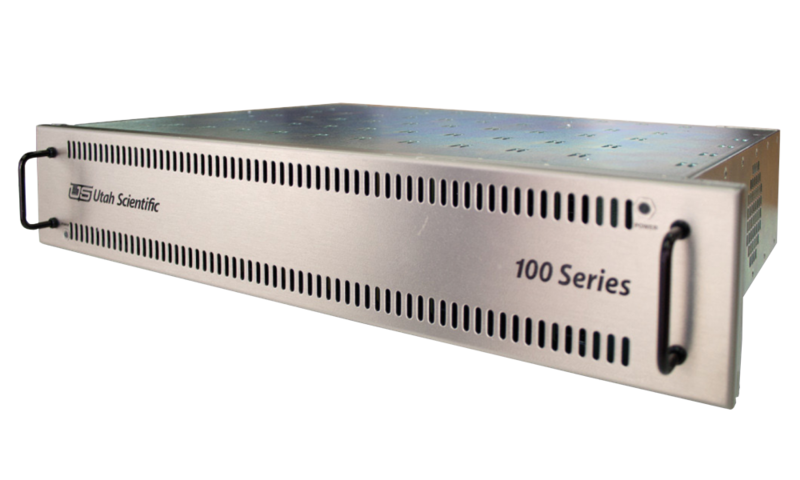 Multiple Audio Digital Interface (MADI or AES-10) is increasingly being used as a simple and reliable means of audio signal transport for high-density installations in studio and mobile production applications. The UTAH-100/3 MADI Terminal offers a compact, flexible, and cost-effective means of converting audio signals, both analog and digital, to and from the MADI signal format. Each 2-RU frame can house one or two MADI channels, and each channel can carry up to 64 individual audio signals (32 AES or stereo pairs) with full 24-bit, 48KHz resolution. 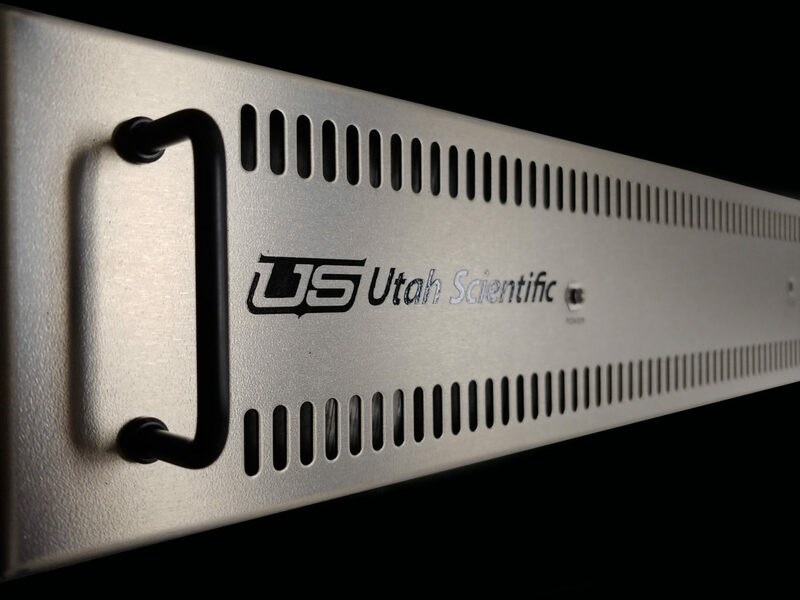 The UTAH-100/3 MADI Terminal frame includes internal power supplies and optional redundancy, with a controller card that accepts a DARS reference signal for synchronizing the audio elements. The frame includes two bays for the installation of MADI card sets. Each card set consists of four cards that provide connection for one MADI stream (in coax or optical format) and 32 AES signals (balanced or unbalanced). Analog card sets are also available, providing A-to-D or D-to-A conversion for 64 mono signals or 32 stereo pairs.